What a crazy spring/summer it has been! We had scheduled Ashley & Tyler's engagement session at Ball State University (where they met, and therefore one of their fave places). The morning of their shoot, there was a MASSIVE storm! We decided to proceed with the shoot anyway, no matter what we were given. The day turned out to be perfect, a little damp on the ground, but great anyway. We did get caught in a little rain, but mostly we managed to walk around campus dry! 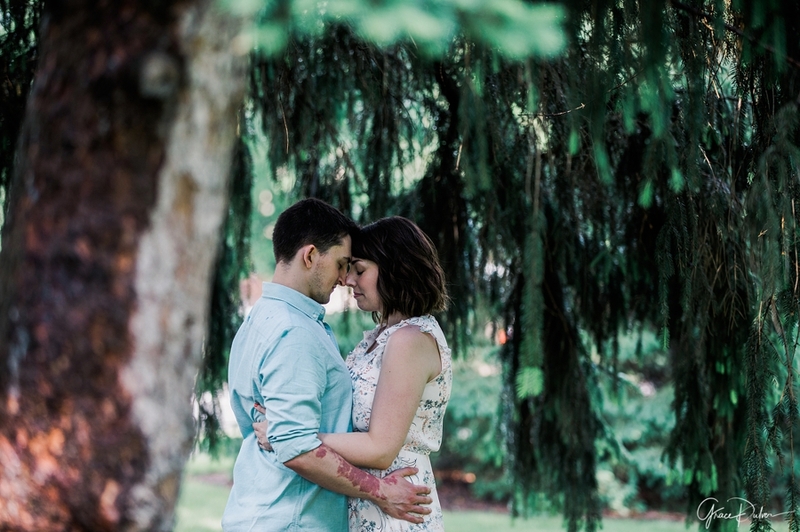 I loved this shoot and getting to know Ashley & Tyler a little better. I cannot wait for their 2018 wedding at Bread and Chocolate at the Old Bag Factory in Goshen, IN.